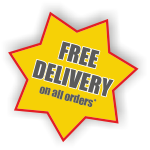 Free Delivery, Prices exclude VAT. SafeHire Certified Company Vinyl Stickers. Hire Association Europe Vinyl Stickers. Event Hire Association Vinyl Stickers.